19 year old Angela Simmons, daughter of Rev Run is really doin her thing. In addition to the "Pastry" shoe line she runs with her sister Vanessa, she is launching her own magazine. Angela is already and executive editor at Word Up! 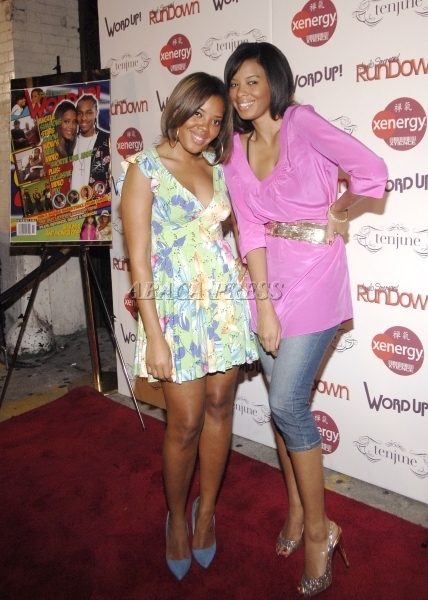 magazine, and her magazine "Angela's Rundown" is a subsidiary publication geared towards teens. Fam and friends came out to support at the magazine launch party. Word is she's dating Bow Wow....not my cup of tea but those Christian Loubiton's that big sis Vanessa is rockin are! Now that's Glam Swagger!